Welcome to the November 2018 edition of Disney Rumor Round Up — you can check out the October 2018 installment here. Holiday season has taken over the Walt Disney World parks and rumors are still swirling! Disclaimer: Any rumors mentioned in this article are not confirmed by Disney and may not ever happen. No major changes or additions to Magic Kingdom other than the already announced Tron Lightcycle Coaster. WDWMagic sources say entertainment changes such as a new nighttime parade and/or fireworks are still very possible for the 50th anniversary of Walt Disney World. Epcot was all the rage at this year’s Destination D event at Walt Disney World. This fan favorite park is getting not one but two new fireworks shows. Disney Parks and Resorts Chairman Bob Chapek confirmed that Epcot Forever will debut in fall 2019 after Illuminations ends its run. WDWMagic sources as well as a few others said there would be a possibility of an interim show. The major new show will debut in 2020 and celebrate Disney music and its connection to nations around the globe. Epcot Forever is said to pay homage to Epcot’s history with fan favorite music and looks to rely more on pyrotechnics than much else as the lagoon and other infrastructure is worked on for the 2020 spectacular. 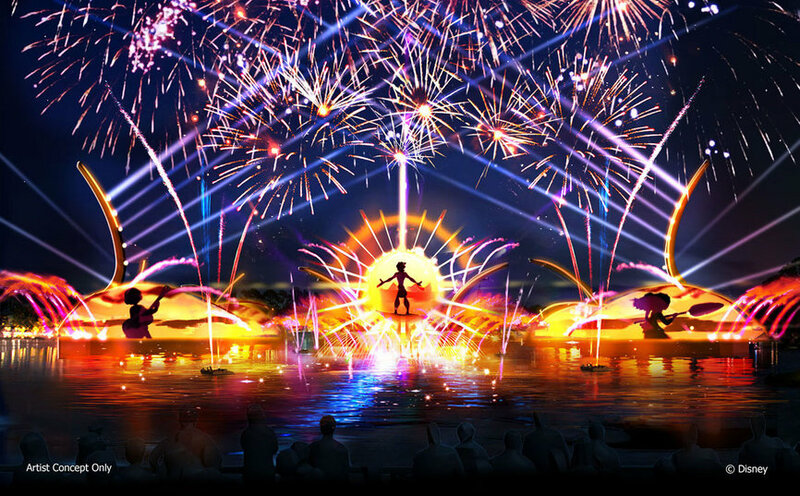 The 2020 show — A Celebration of Disney Music — will include lasers, large water-based barges similar to Rivers of Light, and much more. In the September Rumor Round Up sources said the show would have aspects of Tokyo’s Fantasmic as well as drones. Disney has not confirmed the drone aspect but insiders say that is because the technology is still being worked on. Bob Chapek also announced an all new film in the Canadian pavilion as well as a Beauty and the Beast Sing-a-long in the France pavilion. Those are expected to begin at some point in 2019. WDWMagic sources say other World Showcase additions could be coming, such as the long-rumored Brazil pavilion and a new attraction in the United Kingdom. Disney Imagineers have been traveling to various places recently that could be connected to these projects. 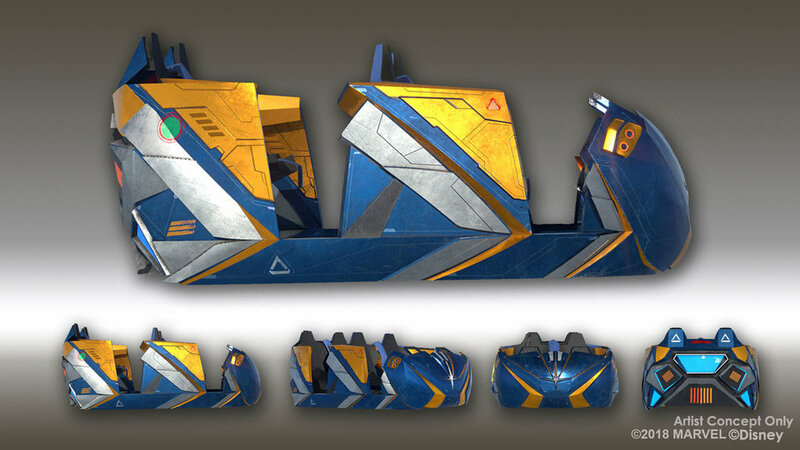 Disney did not bring up anything about Future World other than revealing the concept art of the ride vehicle for the new Guardians of the Galaxy coaster. Disney has announced that they will be celebrating the 30th anniversary of Disney’s Hollywood Studios throughout 2019 starting with the revealing of a new park logo in January 2019. The two Star Wars: Galaxy’s Edge attractions got names at Destination D. Millennium Falcon: Smugglers Run and Star Wars: Rise of the Resistance will debut when the land opens in fall 2019. An interesting difference from previous reveals is that Disney stated just “fall 2019” for Hollywood Studios rather than stating “late fall 2019.” WDWMagic sources say Rise of the Resistance will include several pre-shows and an extensive queue similar to Flight of Passage at Animal Kingdom. Also revealed is an all new nighttime show which will begin in May 2019 in the Chinese theater. The Wonderful World of Animation will celebrate 90 years of animation starting with Mickey Mouse. Along with that, Mickey and Minnie’s Runaway Railway will open in fall 2019, which has been rumored for months now. WDWMagic sources say an August-September time frame is possible for a reopening date. No major new rumors for Animal Kingdom. As mentioned in the Epcot section, several Imagineers including Joe Rohde have been traveling for work-related projects. It is possible that could be related to the future of Animal Kingdom. We will have to wait and see on that front. 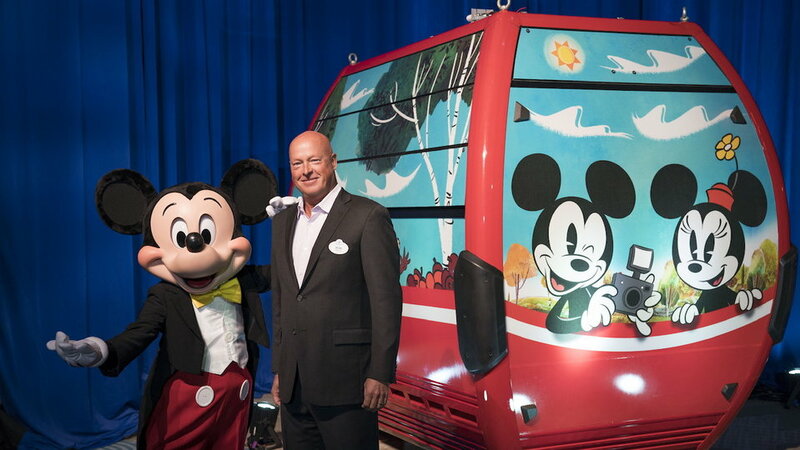 Disney has finally confirmed to the Orlando Sentinel that the Disney Skyliner will not have air conditioning but will have ventilation, passive airflow, and solar reflective windows. It has been said by various sources for months that they would not have air conditioning. Gondola systems of this scale rarely have air conditioning. A system in London does utilize it but it may not be as reliable in use at Walt Disney World. That would also likely have much higher costs than the already expensive mass transit system Disney is building with gondola company Dopplemayr. The system is on schedule to open fall 2019. Initial testing will begin in January, with full cabin testing beginning in April. It seems a production delay with the cabins pushed the opening to fall 2019. Guests should be riding the system by September, ahead of the highly anticipated opening of Star Wars: Galaxy’s Edge. 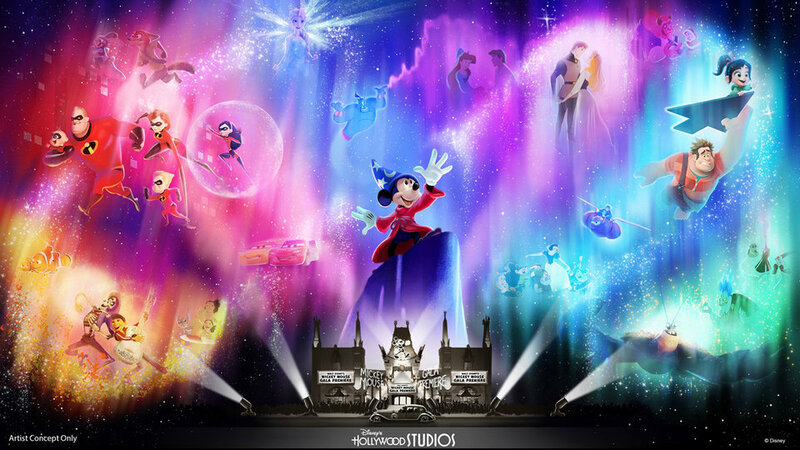 Cirque du Soleil and Disney continue working on the new Disney animation show coming to Disney Springs. According to job filings for the new show it will debut in March of 2020 with rehearsals beginning months before that. Disney has yet to give any major details on the new show. Finally, Disney released the name for the new River Country area resort to open in 2022. This resort will be called Reflections: A Disney Lakeside Lodge. Jim Hill and Len Testa were the first to put that out as a possible name. Resort construction prep is already beginning. The resort will have 900 rooms with Disney Vacation Club accommodations as well as other unique room setups, according to what has been said by Disney.